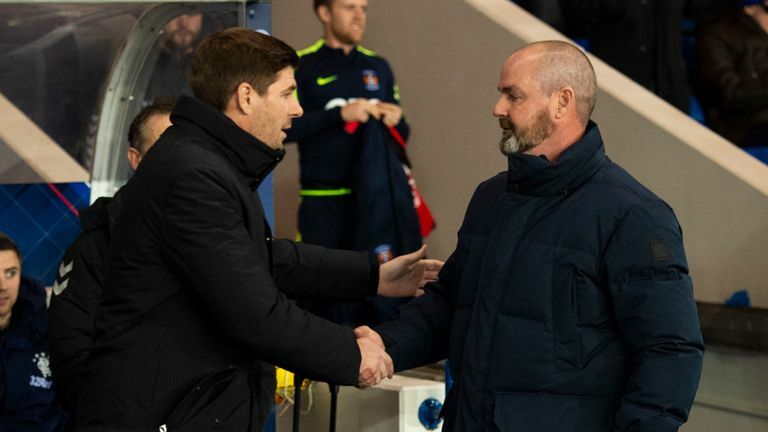 Without going into too much detail, this article is a ‘before and after’ of Steven Gerrard and Steve Clarke. This trail of respect turning to ignominy all stems from Clarke clearly hitting below the belt and trying to get Jermain Defoe suspended. We all know one of the ugliest sights in football is players waving invisible yellow cards at the ref trying to penalise an opponent. This is the exact same – and Clarke quite frankly should be absolutely ashamed of himself for trying to get a fellow professional punished in order to benefit himself. Good start I.N. of pointing out the facts and the bile aimed at our club. Please keep it up with FACTUAL evidence and there is many. "NO ONE LIKES US, WE DON'T CARE"
It's obvious Clarke is a beggar. Not only losing our good players benefits Killie, but also his beloved team Shellic. He has an eye on the Shellic job after Rodgers. The media and Celtic SFA see that we are a threat to their 10 IAR, and they will do everything to weaken our cause. The only thing Gerrard and Co should be doing is just keep winning our games and stick it in to these cheats. Good article. Trying to get players suspended is disgraceful. There is maybe a job at BBC awaiting him when Kilmarnock fire him. Aren't sheltic6 points clear,or is my Ledbetter than usual?